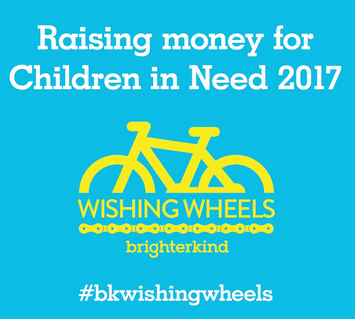 Brighterkind care homes are holding a Wishing Wheels Event, where their 71 care homes are cycling over 2000 miles as a relay to raise money for Children in Need 2017. Starting in Inverness on the 2nd October and ending in Jersey on the 16th November 2017. Part of their activities have been supported by Oranka by providing their Hydration Station to provide some much needed hydration sustenance. The Wishing Wheels Story so far has involved over a 1000 miles cycled to date, with the team steadily approaching their £17,500 target. They have also been joined by the Brownlee Brothers for one of the stages. If you want to know more follow their antics on Facebook.